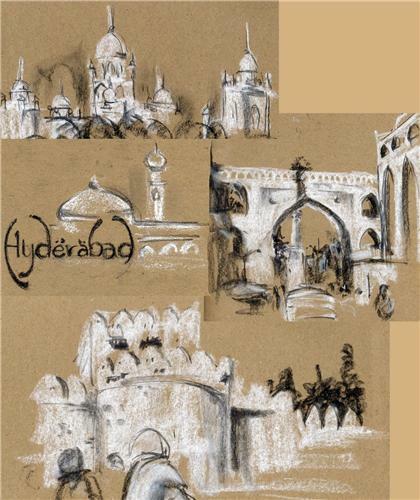 Hyderabad derives its name from the Persian word haydar or Hyder's abode or lion city. Some also go by the findings of John Everett-Heath, the author of Oxford Concise Dictionary of World Place Names, who said that Hyderabad was named to honour the Caliph Ali Ibn Abi Talib, who was also known as Hyder because of his lion-like valour in battles. Hyderabad was once an important centre of Islamic culture primarily because of the influence of the Nizams. However, at present times, Hyderabad embraces all the religions with equal gusto. While on one hand you can find the Charminar on the other you can find a 17.5m high statue of Lord Buddha. The culture is also influenced by the people who come from varied backgrounds and places in India and who have happily made Hyderabad its home because of the number of IT industries flourishing here. Hyderabad balances very well the fast life of a city with its relaxed mood. Hyderabad lies on the banks of Musi River and is the fourth most populous city and sixth most populous urban city in India. The city is situated on hilly region surrounded by artificial lakes. Hyderabad has 400 years of history and the languages spoken in this area are Telugu, English, Urdu and Hindi. The city is known as the 'City of Pearls', as it was once a diamond and pearl trade center in the ancient times. One can enjoy shopping in the ancient traditional markets of Hyderabad. The few well known traditional markets of the city are Laad bazaar, Begum Bazaar and Sultan Bazaar. In ancient years the city was established by Muhammad Quli Qutb Shah in 1591. Bhagyanagar was named after the beloved of Quli Qutub Shah which became Hyder Mahal. The kingdom of Golconda which was one of the five kingdoms of the Bahamani Kingdom was founded by Qutb Shah. The region was ruled by seven rulers who were great builders and focused on learning. The region saw huge development in the field of literature (Indo-Persian, Indo-Islamic) and culture in that era. After a century, the region was conquered by the Mughals. The region was named as Nizams of Hyderabad by the Mughals. In 1724 the region was declared free from Mughals by Mir Quamaruddin, the Governor who was titled Nizam-ul-Mulk Feroze Jung Asif Jah. He became the first Nizam and the founder of the Asif Jah dynasty. Later in the year 1769, the capital of the region was shifted from Aurangabad to Hyderabad by Nizam Ali Khan Asif jah II. Asif Jah’s seven Nizams ruled the region for about 224years till 1948. During this period the official language which was previously Persian till 1983 was changed to Urdu which lasted till 1948. Under the British rule the Nizams of the princely state became the faithful ally of them. Hyderabad state maintained its charm for 150 years. The Hyderabad state was merged with Union of India. The city was announced as the capital of the state of Andhra Pradesh in 1956. In 2014, Telangana was formed and Hyderabad became its capital. One can witness the historical presence in the remaining of Qutb Shahi and Nizam in the form of Charminar. The tourists places in Hyderabad ranges from lakes, parks, historical monuments, museums, gardens, traditional cuisine and resorts. The must visit tourist places in Hyderabad include Charminar, Golconda Fort, Mecca Masjid, Qutb Shahi Tombs, Chilkur Balaji Temple, Hussainsagar Lake, Birla Planetarium, Laad Bazar, Salar Jung Museum, Birla Mandir, Shilparamam, Chow Mohalla Palace, Nehru Zoological Park, Hyderabad Botanical Garden, AP state Archaeological Museum, Mir Alam Tank, Hitech City, Nizam's Silver Jubilee Museum, Durgam Cheruvu, KBR National Park, Mrugavani National Park, Osmansagar Lake, Shamirpet, etc. One can enjoy the different flavours of food served in the city amongst which the Hyderabadi Biryani and Hyderabadi Haleem are world famous. 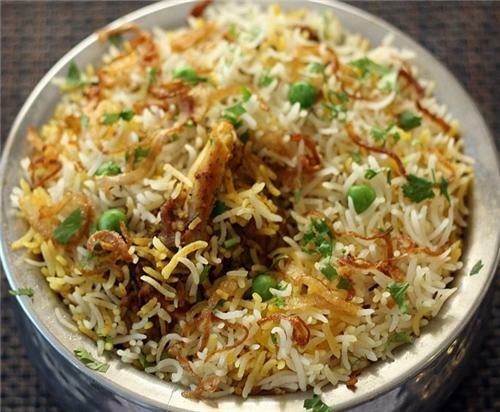 Vegetarians too can enjoy the vegetarian hyderabadi biryani cooked using the ingredients like Basmati rice, peas, saffron, carrots and potato.Taste the blend of royal Persian and Mughalai flavors in the food of Hyderabad. The Nizams paid a lot of attention to the details of cooking and the influence can be even seen today in its food. Someone has rightly said films are the best way to understand the culture of any country. The seed of film industry in Andhra Pradesh was sown in 1921 by Bhisma Pratighna. The Telugu film industry is termed as Tollywood. Hyderabad once known as the center of culture in India is now highly influenced with Telugu film industry. The first silent film of Tollywood was directed by Raghupati Venkaiah and R S Prakash. Focusing on the religion few of the famous movies directed by this pair of son and father were Nandanar, Matsyavatar and Gakendra Moksham. In 1931 the first Tollywood film with sound was released which was produced by H M Reddy. LavaKusa movie turned as a great success for Tollywood which gathered lots of fan following. This movie changed the scenario of the Tollywood which starred Parupalli Subarao and Sriranjani. 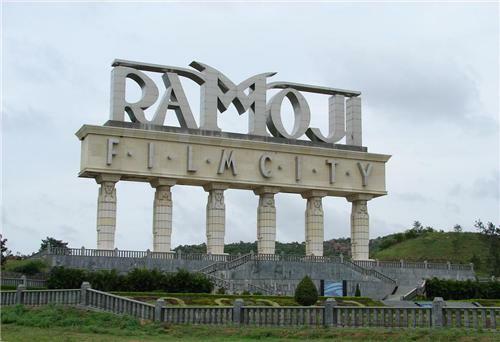 Ramoji Film City is an example of the influence of the film industry on the people of Hyderabad. Built by the Ramoji group, it is now not only an important tourist attraction of Hyderabad but also the most sought after film location for many producers both Telegu and Hindi. The capital city of Telangana, Hyderabad can be reached from all the major cities of India. Secunderabad is one of the main stations, which is well connected to all cities of the country. Hyderabad is well connected to national and international destinations. In South Asia, the centrally located Hyderabad has a huge potential to be transformed into a transit hub. The new airport in Hyderabad is Begumpet Airport which started its operation in 2008. It has one of the longest runways in India and handles a huge volume of both passenger and cargo. Hyderabad is the head quarter of South Central Railway. It is connected from all major cities of India. The railway stations at Hyderabad are Nampally or Hyderabad railway station and Kachiguda. Trains departing from these two stations can be boarded at Secunderabad railway station. Hyderabad is connected by Road from and to all major cities in Andhra Pradesh, Karnataka, Tamilnadu, Maharastra and Orissa. http://hyderabaduptodate.online Nice article About Hyderabad. I have heared form many people about Hyderabadi biryani. But i have not understood the speciallity of Hyderabadi biryani as i ate biryani in Delhi, Kolkata, Mumbai and Hyderabad as well. But i experienced only one different that Potato is also poured in Kolkata's biryani and rest of the place biryani's test is almost same . i am going to hyderabad for 3 4 days, can you suggest me some budget hotels in the city? Hi! Go through this page to find some of the most popular budget hotels in Hyderabad . can you tell me how much time it will take to reach hyderabad from mumbai by air and also suggest me some flights? Hi! It takes about an hour via air to reach Hyderabad from Mumbai. IndiGo, Jet Airways, Air India connects Hyderabad to Mumbai.